Arriving at Izmir airport you will have the opportunity to see some of the luscious Turkish countryside during your drive to the coastal town of Cesme. Check-in to your hotel and spend the rest of your afternoon at leisure enjoying the sun and beautiful landscape. A favorite destination of the Turkish jet set, the Cesme peninsula is a prominent center of international travel offering a diverse selection of restaurants, cafés, bars, and shops. We recommend heading out for a leisurely walk around the town of Cesme, but be sure to also explore one or more of the surrounding towns and villages such as Illica with its incredible beach or the picturesque small town of Alacati to get a taste for life along the coast of Turkey! Some historic points of interest that you may enjoy are the Cesme Castle and the 19th century Greek Orthodox church of Agios Haralambos, which is today used as a gallery for temporary exhibitions. 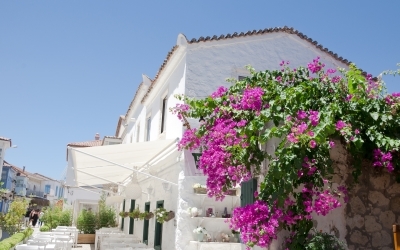 It’s time to travel to the southern coastal town of Bodrum in Turkey’s Aegean region. Check-in to your hotel and relax along Bodrum’s beautiful coast, soaking up the sun and scenic landscape. 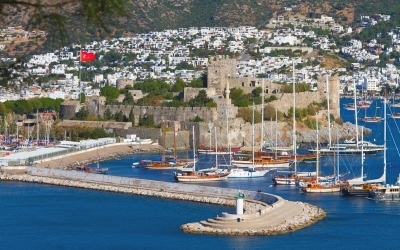 Internationally known as one of the most beautiful coastal regions of Turkey, Bodrum is renowned for its lively atmosphere and picturesque harbor, while the trendy Türkbükü region further along the coast is a fascinating location that will surely captivate any guest with its wide variety of fine seaside restaurants and beach bars. Although a center of tourism and yachting, Bodrum also shares in a rich history – be sure to take advantage of our recommendation guides and learn about how this town relates to names like Herodotus, Alexander the Great, and the Knights of St. John. Enjoy the many restaurants and shops of this town and retreat to your hotel for complete relaxation and a luxurious end to your experience in Turkey. 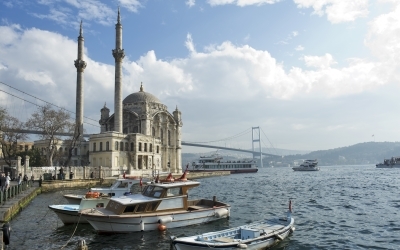 Having already explored the city of Istanbul, after checking-in to your hotel head out to your favorite part of the city or discover another area that you missed during your first stay. 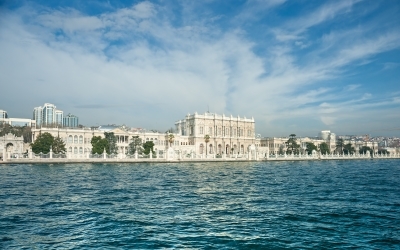 We highly recommend enjoying a leisurely stroll through one of the coastal suburbs or use our Istanbul restaurant recommendations list to enjoy a farewell dinner at one of the best restaurants in the city.